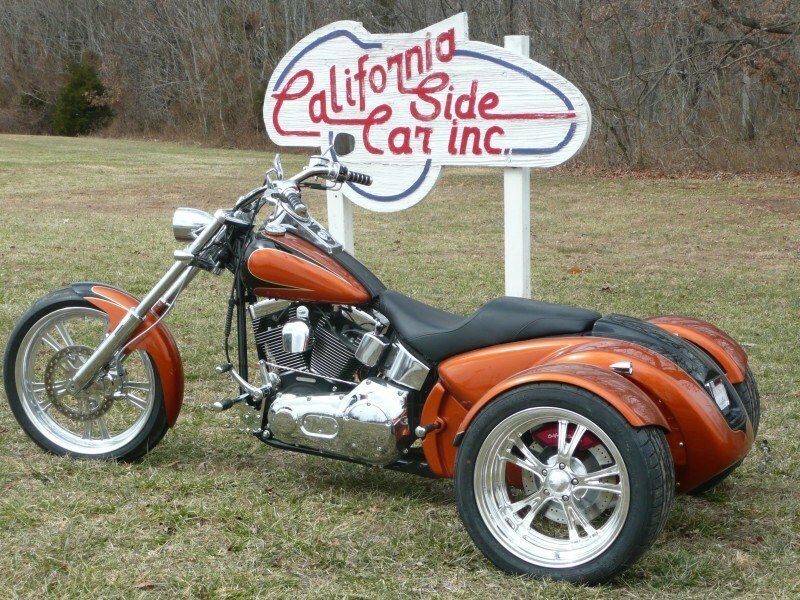 Custom kit designed to fit all softail models (except “Roker” models) from 2000-current if choosing CSC complete Front End option. 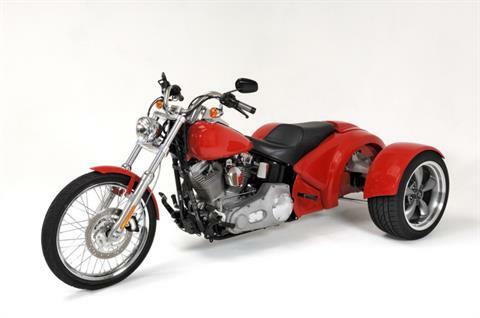 Kit will fit all FLST Softail models (except “Springer” and 2007 “Fatboy” models) if choosing Volusia Powertrak option. Billet front end will not fit Harley Davidson front ends. 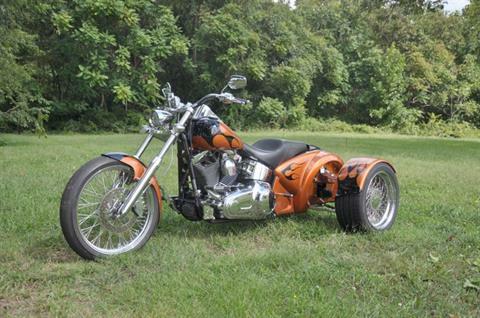 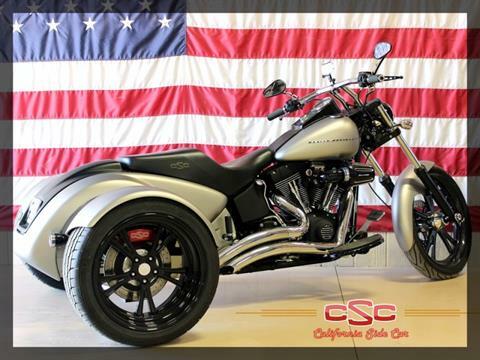 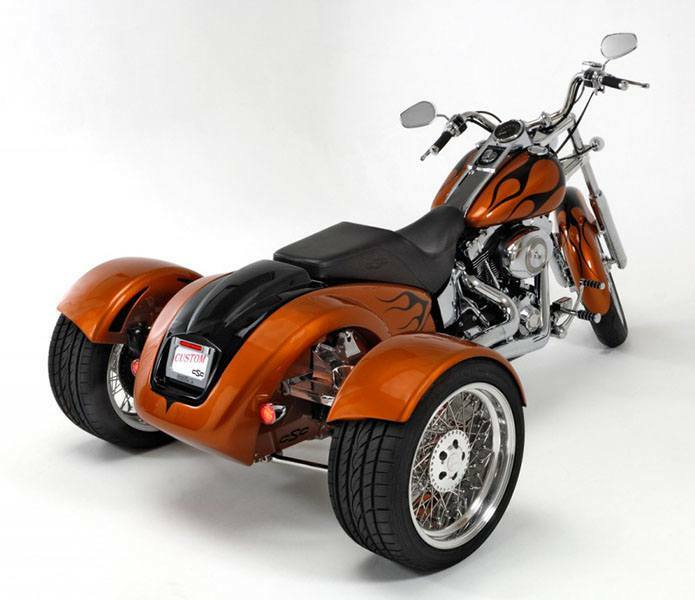 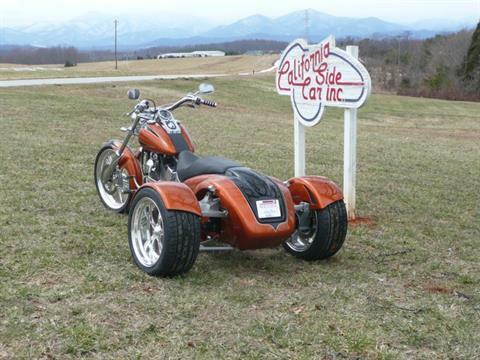 The CUSTOM is a crossover model which blends the best features of the Harley Davidson Softail™ with a custom chopper, all rolled into a street rod styled trike. 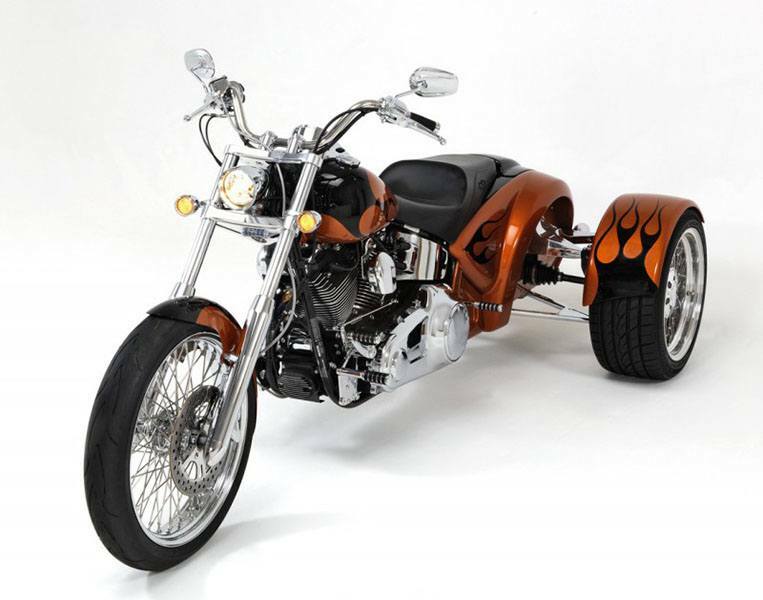 Born out of a desire to create a dramatically different trike, this innovative design is a cruiser motorcyclist’s dream, appealing to those who want to boldly step out and express their individuality. 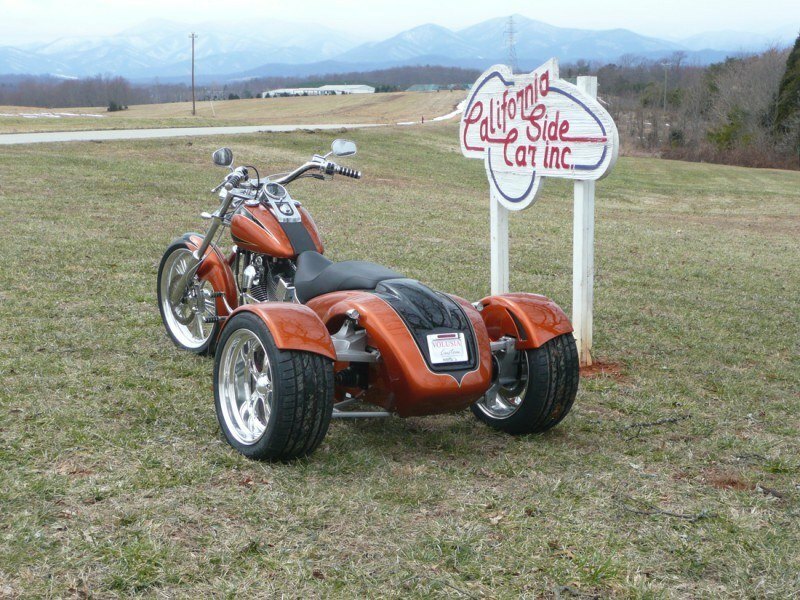 Originally we envisioned the CUSTOM as a complete turnkey trike kit, optioned out with the very best after market accessories available in the industry today. Named the CUSTOM ST, we believe this top of the line configuration will be the model of choice for most consumers. 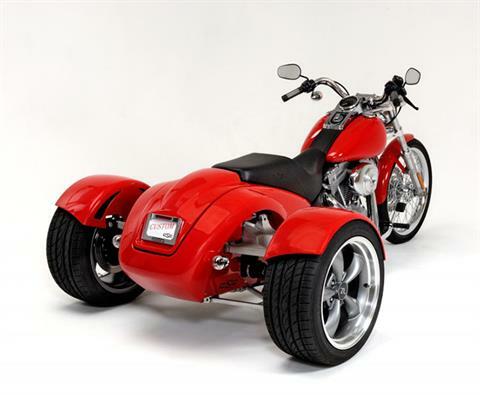 However, recognizing that everyone has different tastes and budgets, we have made it available as a “Design Your Own” CUSTOM Kit, providing you the ability to pick and choose preferences such as accessories and paint schemes. 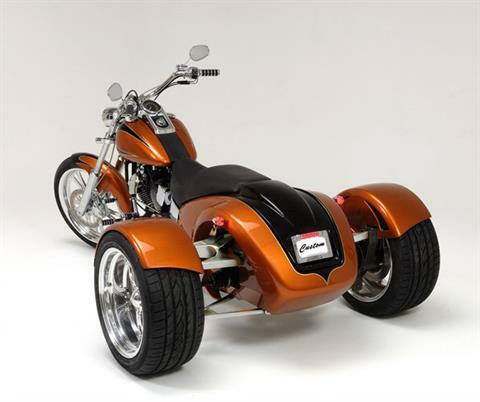 The choice is yours, but either way you will have a trike like none other in the marketplace today. Check out the possibilities.